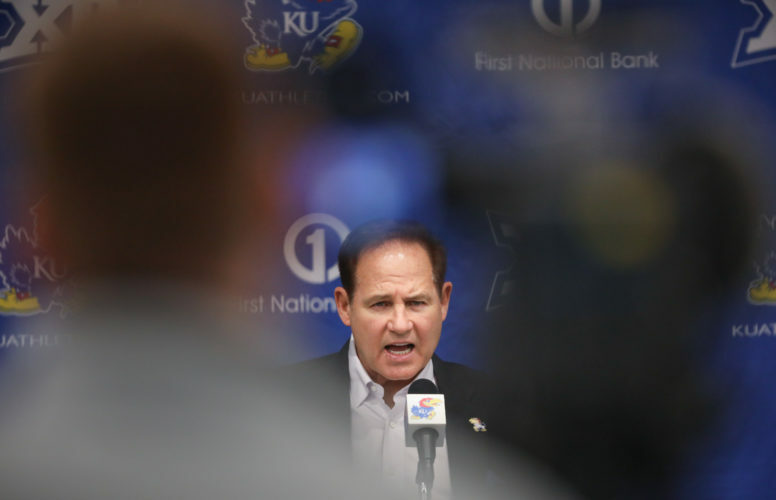 With his Kansas football team 0-3 in the Big 12 following a 2-1 start during the less challenging nonconference portion of the schedule, head coach David Beaty decided this past Wednesday, during the Jayhawks’ bye week, to fire offensive coordinator Doug Meacham. On Monday, during his slot on the Big 12 coaches media teleconference, Beaty spoke publicly for the first time about what went into landing on such a momentous move. The answers to those questions, Beaty added, “clearly” led him to his conclusion to fire Meacham. Entering this week’s trip to Texas Tech, KU currently ranks ninth in Big 12 play in scoring (19.0 points per game) and passing (200.7 yards per game) and 10th in rushing (107.7 yards per game). 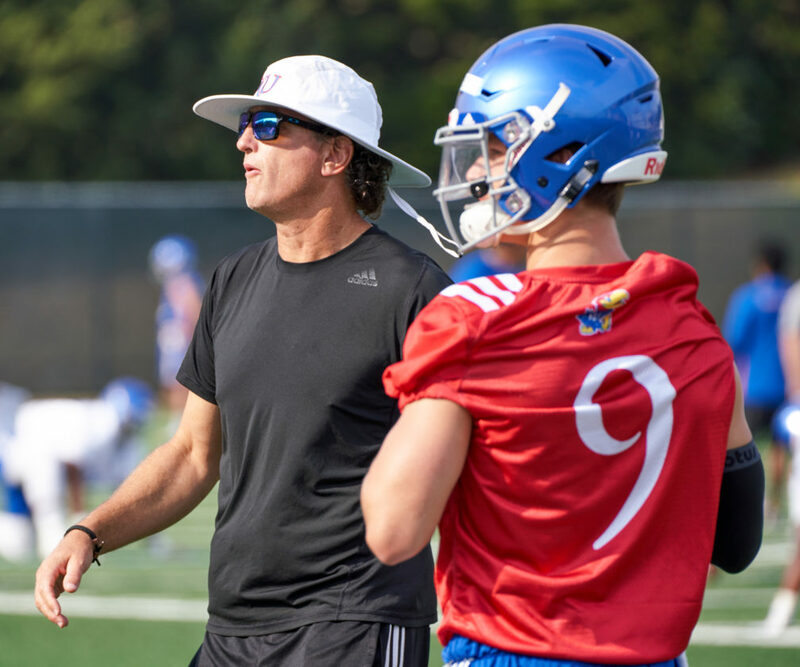 In its three conference games, KU started Peyton Bender at quarterback at Baylor, before switching to Carter Stanley the next week against Oklahoma State. Stanley started at West Virginia, as well, but was yanked from the No. 1 QB spot before the end of the first quarter. 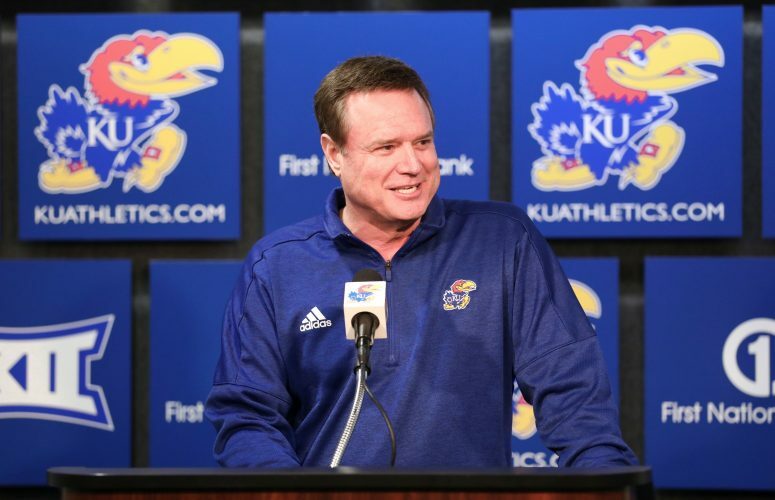 It remains unclear who will start for the Jayhawks at Texas Tech. Given the unstable QB situation — Miles Kendrick also featured into the game plan before he suffered a shoulder injury at Baylor — Beaty was asked whether there was any consensus between he and Meacham on who the primary QB should be and whether that factored into Meacham’s firing. In five games (four starts), redshirt senior Bender has completed 60.5 percent of his 114 passes for 681 yards and six touchdowns, with one interception. Also appearing in five games (two starts), Stanley has connected on 72.3 percent of his 47 throws for 304 yards and three touchdowns, with one interception. In four games, sophomore Kendrick has only attempted 19 passes, connecting on 11 (57.9 percent) for 100 yards and one touchdown, without an interception. 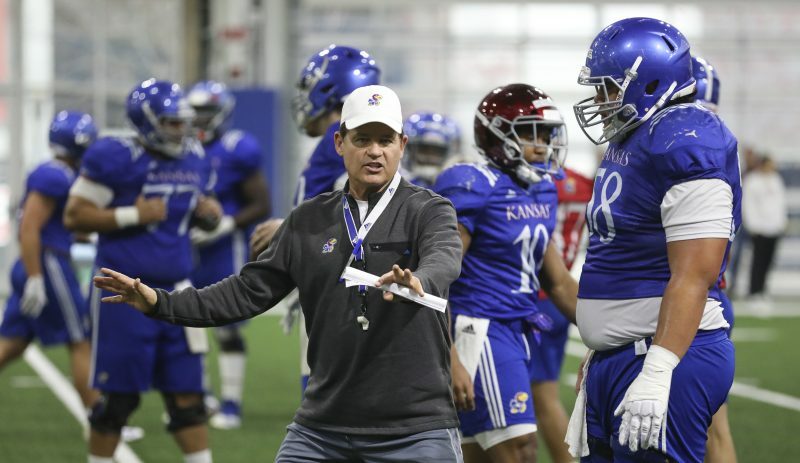 Now that Beaty is taking on Meacham’s roles as KU’s quarterbacks coach and offensive coordinator, his day-to-day functions have changed. Asked to reveal what he is dealing with now that he wasn’t previously and how his game week preparation might be altered, Beaty said he plans each week as if he is the coordinator on both sides of the ball. KU’s next home football game — its first in four weeks — will mark the Jayhawks’ second week in a row on FOX Sports 1. 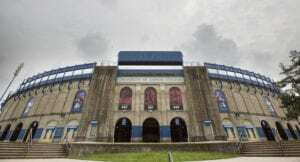 The Big 12 announced Monday KU’s Oct. 27 matchup with TCU at David Booth Kansas Memorial Stadium will kick off at 2 p.m. and air on the national sports network. 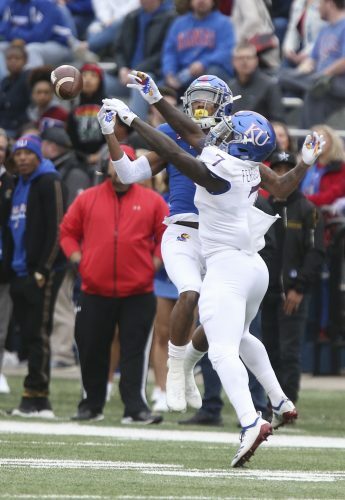 This coming Saturday, KU also will play on FOX Sports 1 (2:30 p.m.), when the Jayhawks (2-4 overall, 0-3 Big 12) take on Texas Tech (4-2, 2-1) on the road.